In this post we present the second of our ten featured starting communities and its specific airdrop. We are looking to build and reward a thriving community of #esoteric content creators on the STEEM Blockchain! #esoteric is a 1UP Starting Community! There are many amazing esoteric writers and content creators posting on the STEEM blockchain. By giving them the potential to earn 1UP rewards by using the #esoteric tag on their posts, we aim to build a hub for this kind of content. This will enable it to be easily found by anybody that finds these subjects of interest. It will also give the authors a greater reward potential. I was delighted when @flauwy asked me to join the #1UP team in order to build this community. Esoteric subjects have been a passion of mine for many years, as they have with him. From October, when the #1UP platform launches, posts submitted with the #esoteric tag will be able to earn UP tokens. The ten highest voted posts each day will get the smart upvote from the community supporters and finally from the @steem-1up account. The UP token will give us control over our own reward pool. That will make curating more efficient and create higher returns through curation rewards. Users with UP Power will earn automatic passive income for following communities, delivered in the form of automatically growing stakes. It could also be a good fit for art, music etc. We are going to airdrop ONE MILLION UP tokens to content creators that are tagging their posts with #esoteric. There are three specific bounties available and the opportunities to earn rewards begin today, the 20th September! Any content with an esoteric theme will be considered. We will be judging based on originality, interest, well cited sourcing and use of images that add to the post quality. This is preferred but not essential to enter. You can enter this contest multiple times and can win in multiple weeks. To qualify, your graphic should include the words esoteric and 1UP. We will be looking for originality, an understandable message, featuring 1UP and #esoteric hashtag and humour. This is a special #esoteric bounty post for 1UP, the Curation System for Communities with its own Smart Media Token. Check out the fundraiser to learn more about it and how to earn bounties yourself: https://fundition.io/#!/@steem-1up/0xxjea70g. This is an opportunity for you to showcase your artistic talent and either share existing work or create a beautiful piece specifically for the contest. This contest is running for the entire 10 week period and the winners will be announced on, or shortly after 29th November 2018. All artistic forms are acceptable, for example photograph, sculpture etc can be entered, so long as it fits in with the esoteric/visionary theme. Please also include a short description of the piece and what it represents. You can enter multiple times over the 10 weeks. We are really looking forward to creating this hub and enhanced rewards for the esoteric content creators on the STEEM blockchain and will be providing regular updates as the campaign progresses! Show off your bounty contributions and learn more about 1UP and our airdrops on our 1UP Discord Channel. We are building a community for communities and we invite you to help in that process. If you are active on Discord then you can support 1UP as a moderator and earn further tokens. This is a fantastic post. Well written, well illustrated with graphics, and presenting awesome information. While I am in no way a spiritual person, I have many friends who are, including some on Steem. For them, this community could prove to be a new home on the blockchain. Much like in the Steem Monsters community announcement, I love how the airdrop and contests are specific to the community. Specificity is so important in community building. And the variety of the contests addresses the variety of topics included under the community's big umbrella. This is where I would normally have my critique of what could have been improved. And there are tiny issues in the writing that could be polished. But the overall level is so good, I don't feel there's a need. Thank you for this assessment @didic. I think one of the great things about STEEM is that it offers such diverse options for content and communities. I'm excited to be involved with 1UP and I'm sure it will play a part in supporting creators and communities with interests across the scale. So far this week you've reviewed 4 contributions. Keep up the good work! Yes - quite a few of your posts will be a good fit for this, so crack on with the #esoteric tag! Perfect! Looking forwards to seeing some of your stuff. The #esoteric tag is buzzing now! It is one of ten initially supported communities in 1UP. The intention is that it becomes a well used tag on all of these kinds of subjects, so that this info is less fragmented across the Steem blockchain. Hopefully, that will make it more accessible and easier for people to find if they are interested. not sure if the upvotes are active at this point or if there will be an upvote in the future? Wowser, this looks like a truly amazing development. I may have missed something obvious, but I am curious as to the specifics of how 1UP tokens are stored and used - is it some kind of wallet? It will be an SMT, so will be stored in accordance with whatever that means, I expect. Maybe you can get a clearer answer from @flauwy in the Discord group. What about supernatural / paranormal subjects like UFOology, cryptozoology, spontaneous human combustion etc ? Sure - we went with the term esoteric, as we felt it could cover a wide distribution of subjects and I'm sure that those could fit. 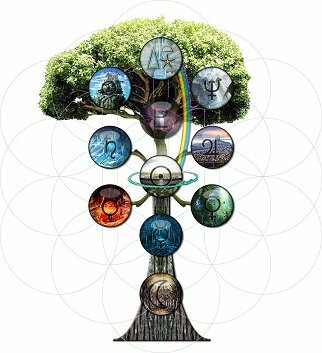 I've got a graphic/meme that includes 1UP but I don't know what to do with the word esoteric. Does it really have to be in the pic to qualify? Is it esoteric themed? If so, fire away. Seriously nice work and offer to those of us who already fall - often - into the esoteric zone. :) Great work Sam, @flauwy et al. @eftnow and @flauwy when I try to use #1up as one of my 5 main tags, it won't let me. "Tags must start with a letter", it informs me. Feedback. Awesome - I'll check it out! Thank you for your work and support with the esoteric community for 1UP! I think I might be first person to enter but I don't even no if I qualify lol, hope you like my work. 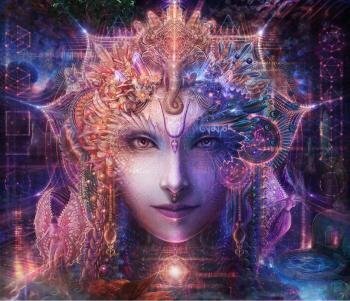 I feel honored and blessed to have you onboard and help to grow the esoteric community. This is gonna be legen - wait for it - dary 1UP. Fantastic initiative here @eftnow & @flauwy .. really looking forward to see what gems this competition unearths and equally making my own submissions ;) I'm now back home for the next week, if you need any help with anything just let me know. Awesome @perpetualflaws. 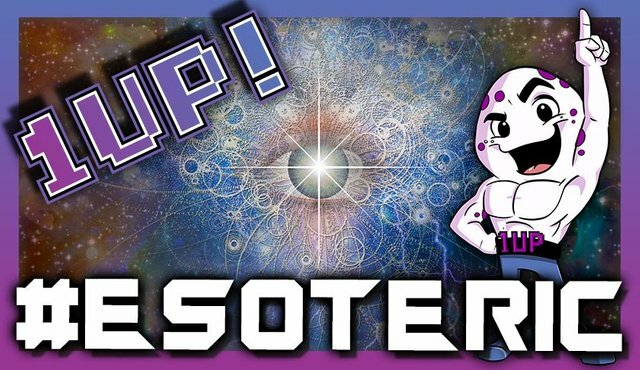 I think there'll be some amazing stuff on this channel, once creators start using #esoteric as standard for their weird and wonderful posts, uncommon knowledge etc. great spotlight, I was not aware of the tag esoteric. really looking forward to 1up. I think it will be a game changer for curation on steem. Thanks for checking in. It will make curation much more exciting. 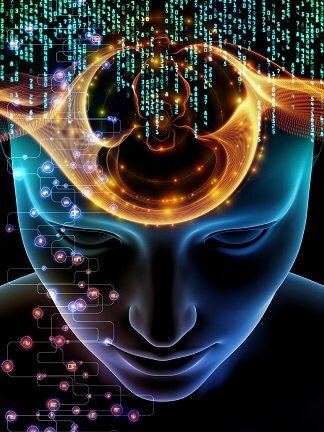 Esoteric - understood by or meant for only the select few who have special knowledge or interest. If you describe something as esoteric, you mean it is known, understood, or appreciated by only a small number of people. I had to look it up as it is a word that I have never come across before. My question is, could that not cover any specialized subject with regards to posting or will you just be looking at the type of content that you have put in the tags list above??? They all seem to be of a similar type of genre. I understand that when people refer to esoteric, they generally mean out of the ordinary. Generally, it seems to cover what many people would consider weird and wonderful. I guess that's a pretty big category. It's really a new event on steemit about 1UP Community Airdrop contest. Thanks sir for such kinds of acknowledgement. Your UA account score is currently 3.751 which ranks you at #4727 across all Steem accounts. Your rank has improved 30 places in the last three days (old rank 4757). In our last Algorithmic Curation Round, consisting of 516 contributions, your post is ranked at #7. Awesome - glad to see I'm movin' on up! I want in on this project also.